Will anti-immigration party's rise pull Germany to the right? 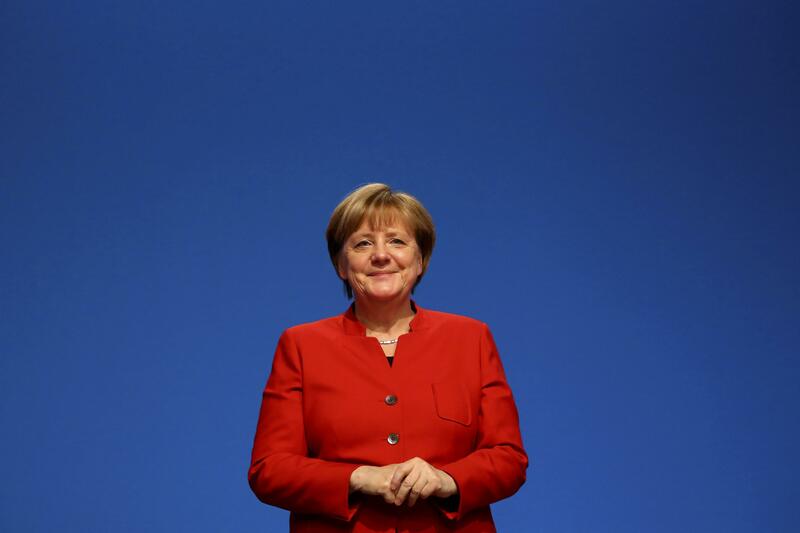 BERLIN -- German Chancellor Angela Merkel’s party formally re-nominated her as its leader this week, kicking off the country’s 2017 federal elections next fall. It may be her toughest campaign yet. Following the election of Donald Trump in the United States and the rise of populist movements across Europe, the far-right Alternative für Deutschland (AfD) party has seized on fears about the influx of refugees to gain momentum here. And while there’s little concern that AfD will come in first next year -- Merkel is still likely to win a fourth term in office -- their mere presence has upended German politics and forced Merkel’s Christian Democratic Union to shift its rhetoric heading into 2017. Unlike in neighboring Austria, where Norbert Hofer of the far-right Freedom Partycame within a few percentage points of winning the presidency last Sunday, the far-right wields considerably less power in Germany. A majority of German voters believe it’s very likely that Merkel will win another term as chancellor. Polling shows she and her Christian Democratic Union have recovered in recent months; in the latest poll from the German polling firm Forsa, the CDU stood at 36 percent; AfD, meanwhile, had fallen slightly to 10 percent. That said, the political environment today couldn’t be more different from 2013, when Merkel’s CDU won the biggest victory since Germany’s reunification in 1990. AfD has proven itself to be a legitimate political force. After some significant victories in state and regional elections, AfD now holds seats in 10 of the country’s 16 state parliaments. For Merkel, this means walking the line to hold onto the center that has served her so well electorally, and working to appease the base of her party -- especially the Christian Social Union (CSU), the Bavaria-based branch of her party known for its socially conservative views. “There is a realization by Angela Merkel that she needs to cater to the base moving forward in this election,” David-Wilp said. That challenge was clear to see in Essen this week at the CDU conference, as Merkel said she would not act on her party’s vote to scale back dual citizenship rights for some Germans with foreign roots -- but endorsed her party’s call for a partial ban on the burqa in Germany, a first for her. Annalena Baerbock, a member of parliament from the Green Party, said AfD is undoubtedly moving other parties to the right -- and that worries her more than the AfD itself. Matuschek said Merkel’s Christian Democrats tried similar tactics in recent state elections in Berlin and Mecklenburg-Vorpommern in an attempt to keep AfD from rising, with little success. The party came in second in Mecklenburg with 21 percent, pushing the CDU to third place; in Berlin it got 14 percent of the vote. Exactly how best to combat the AfD’s rise is a quandary for more centrist politicians in Germany. Like Mr. Trump in the U.S., AfD has succeeded by bringing in many voters who previously didn’t participate in elections, but it also siphons away support from all of Germany’s main political parties, not just the CDU. For a political movement that originally gained steam on the heels of the refugee crisis, the AfD -- like other far-right populist movements in Europe -- is tapping into a deeper discontent with the political establishment.